A colour by number worksheet for very young learners. This can be used as a fast finisher activity and accompany a transport theme. Sit the children in pairs facing each other and holding hands. 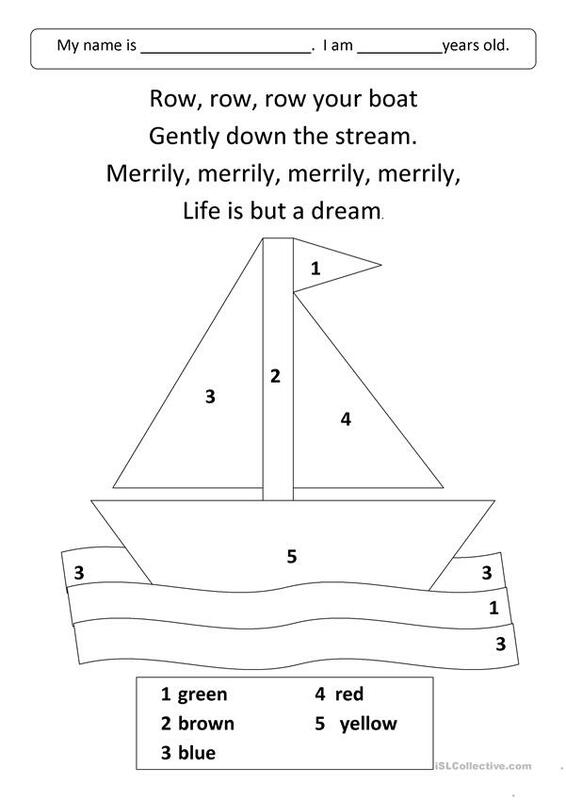 Children can row back and forth as they sing. The present downloadable teaching material is meant for elementary school students and kindergartners and nursery school students at Beginner (pre-A1) level. It features the topic and words of Means of transport. I've been teaching English in Spain for a while now and created some songs and worksheets along the way. I hope they can be of use to other teachers out there.